If your family is anything like mine, food is central to any gathering. Whether it’s a family reunion, birthday bash, game day gathering, or holiday shindig, we almost always end up in the kitchen snacking and sampling everyone’s dishes. Nowadays, though, family and friends can live a little farther away, which means you need to transport your culinary masterpieces. Thankfully, we’ve compiled a list of easily transported holiday favorites. This snack is an easy finger food, and is even easier to transport! Whisk together first 6 ingredients in large bowl. Stir in cooked chicken and pecans until well-mixed. Cover and chill in refrigerator overnight or for a few hours. 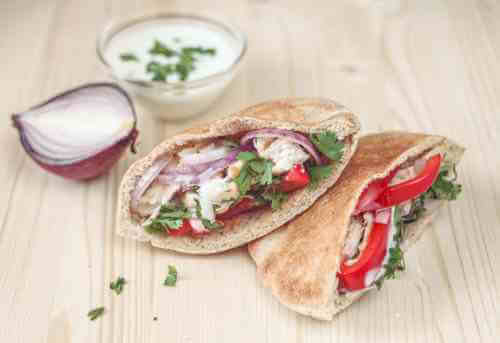 Open up one end of the pita pocket and fill with chicken salad. 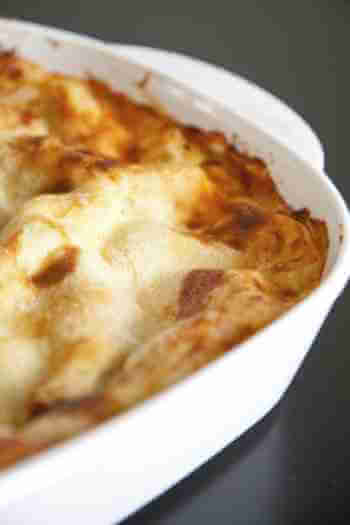 Put together this simple lasagna the night before your event, or even the day before Christmas Eve! It takes just 25 minutes of prep and 45 minutes to bake. Preheat oven to 350°. In medium saucepan, sauté the sausage in olive oil until it crumbles and is no longer pink. Add chopped onion and garlic powder to saucepan and continue to sauté for 4 minutes. Add pasta sauce to the sausage mixture. Remove from heat and set aside. In medium bowl, blend ricotta cheese, egg, ¼ cup parmesan cheese, and parsley. Set aside. Line baking pan with foil for easy clean up and spray with no-stick cooking spray. Spread 1 cup of the sauce mixture on the bottom of the pan. Top with 2 lasagna noodles. Spread ¼ ricotta cheese mixture on the noodles and layer 1 cup of the sauce mixture. Sprinkle ½ cup of mozzarella cheese over your last layer. Repeat this layering process two more times, starting with the noodles and finishing with the last bit of parmesan cheese. Sprinkle with oregano. Bake for 45 minutes, or until hot and bubbly. Let stand for 10 minutes before cutting and serving. A Dessert That’s “A Piece of Cake” To Move and Make! This tart is such a treat! Using frozen berries, this scrumptious dessert can be made the night before and transported without fear of spilling or melting! Preheat oven to 400°. Spray 9×13 inch baking pan with cooking spray. Place crushed pretzels in bowl of a food processor. Add sugar and melted butter and “pulse” to combine. Press pretzel mixture into baking dish and bake for 8 minutes. Transfer to wire rack and let cool completely. Using an electric mixer on medium speed, beat cream cheese with ¾ cup sugar until well blended. Fold in yogurt and vanilla. Spread mixture over cooled pretzel crust and cover with plastic wrap. Chill for at least 2 hours. In large bowl, dissolve both packages of jello in boiling water. Let cool until mixture gets syrupy (about 15 mins). Stir in strawberries and blueberries and pour over cream cheese layer. Chill until firm (about 2-3 hrs). 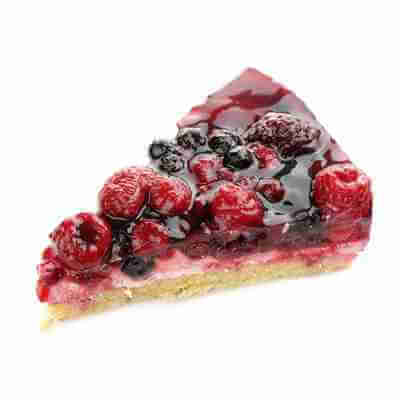 When time to serve, slice tart into squares and top with whipped cream. Enjoy!